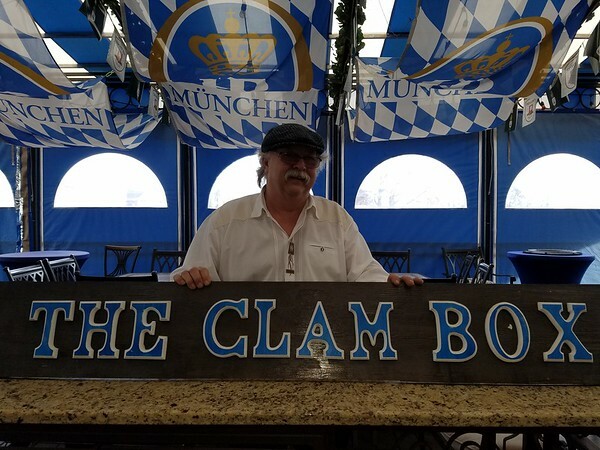 NEW BRITAIN - While The Clam Box at East Side Restaurant was a success, owner Nick Augustino says seafood and German food in the same building wasn’t an ideal combination. So when the building that once housed the West Side Tavern became available, Augustino saw an opportunity and bought it for The Clam Box. Augustino opened The Clam Box in June on the second level of his East Side Restaurant. It took two weeks to build the kitchen and two months to realize it was popular with customers. “It was a very good idea. People do have an urge for seafood,” he said. But as The Clam Box started drawing diners, staffing, parking and space started to become issues. That spurred Augustino to seek a new home for The Clam Box. Augustino purchased the property at 586 W. Main St. from the Malicki brothers for $214,000. They closed on the deal on Tuesday and Augustino’s goal is to open the new restaurant by the middle of January. A crew will start remodeling the property right away, starting with the yard, which was being cleaned on Wednesday. 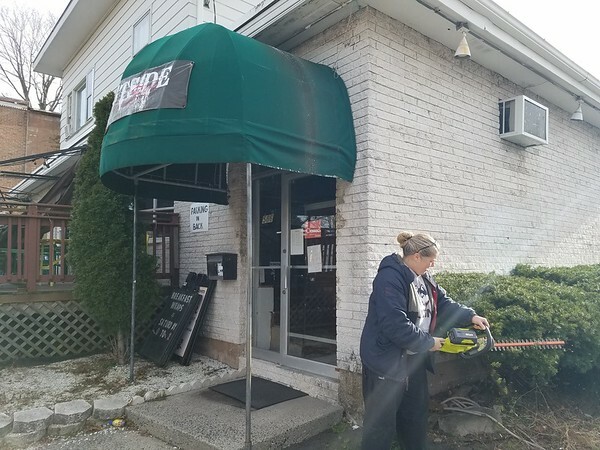 The restaurant owner said he has had an eye on his new property for a while because West Main Street is in a good restaurant district. He tried to purchase it when the West Side Tavern was there but noticed the restaurant had a lease there. The new building comes with five apartments, which Augustino will continue to lease. His daughter, Sheri Augustino, is familiar with the real estate business and will be handling that part of the business. She is also the chef at East Side Restaurant. Augustino’s plan is to design the space with a seafood theme. There will be a seating area but the restaurant will run more as a takeout place. There will be no wait staff, self-serve will be implemented and customers will have to approach the counter for service. “Just like if you were at McDonald’s,” Augustino said. Clams, shrimp, scallops, cod, fish and chips, fried oysters, lobster rolls, chowder, crab cakes onion rings, salads and chicken wings are some of the items that will be on the menu. Beer and wine will also be served. The goal is to be able to serve an order in one minute and forty-five seconds from the time the food is taken from the refrigerator to the time it’s put in the finished box with french-fries, tartar sauce and a lemon. Everything will be made at East Side Restaurant, including batters, dips and chowders, which will be shipped to The Clam Box, in which the kitchen is mainly going to be used for frying. Augustino has already hired three people to operate the business, including a manager and a head cook for the fry line. In addition, the restaurant has a 16-by-40-square-foot deck on the front, which Augustino wants to remodel to resemble the deck of a ship. Augustino said the idea for The Clam Box was inspired from working at an old Wethersfield business. To learn more about The Clam Box call East Side Restaurant at 860-223-1188. Posted in New Britain Herald, , Business, New Britain on Wednesday, 5 December 2018 21:26. Updated: Wednesday, 5 December 2018 22:04.